In an interview with Seth Meyers, Queen Martha also pretended to forget the word "blunt." Oprah recently admitted to eating entire sleeves of Oreos when blazed, and Jeff Ross divulged that he got high with 73-year-old Martha Stewart and Snoop Dogg backstage at the Bieber Roast. Now that weed legalization is sweeping the U.S., it seems celebrities are loosening up about their smoke-filled pastimes. I got high just sitting there. 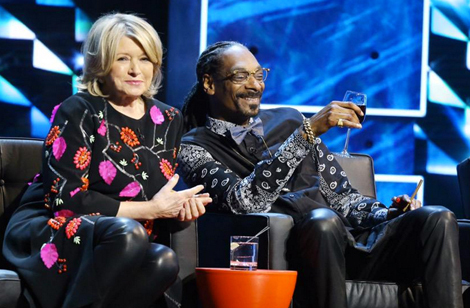 Snoop had all those… you don’t call them joints, you call them something else. Those big fat ones… Anyway, we had to sit on the stage for four hours… and the secondary smoke is just as powerful as the primary smoke. So I was totally high by the time I got to that microphone. It was pretty strong stuff. And Snoop, he just goes on and on and on. I think he has a license for it. We don’t blame Snoop for lighting up a constant rotation of blunts to keep himself calm, considering the roast was four hours long and involved being in close proximity to the somewhat intolerable JBiebs. In other, less interesting news, Martha Stewart is designing a new Triscuit. The flavor? Sea salt and toasted coconut. 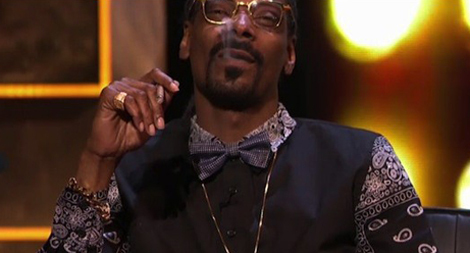 We think Snoop would enjoy a few Nutella-slathered, salt-and-coconut Triscuits with a percy blunt as accoutrement.